Defeated candidate Sergio Fajardo has shaped as a key figure in deciding if Ivan Duque or Gustavo Petro will be the next president of Colombia. Despite acquiring nearly a quarter of the total vote, the centrist politician failed to advance to the second and ultimate round of voting, falling just short of second-placed Petro by a mere one percent. The centrist’s 23% of the voters may ultimately determine if right-winged Duque or left-winged Petro will be sworn in as president on August 7. The stakes are high; “we can not allow violence to mark our lives again,” Fajardo said after admitting defeat on Sunday. Duque has vowed to make unilateral changes to a 2016 peace deal with FARC guerrillas. Fajardo, Petro and Liberal Party candidate Humberto de la Calle agree that this would pose a major threat to the fragile peace process and could reignite the country’s decades-long armed conflict. But his supporters have been divided about whether they want to move as far left as Petro, a former guerrilla, to promote peace. Only if the former Medellin mayor is able to convince them to back Petro, their coalition could obtain more than 50% in the second round. 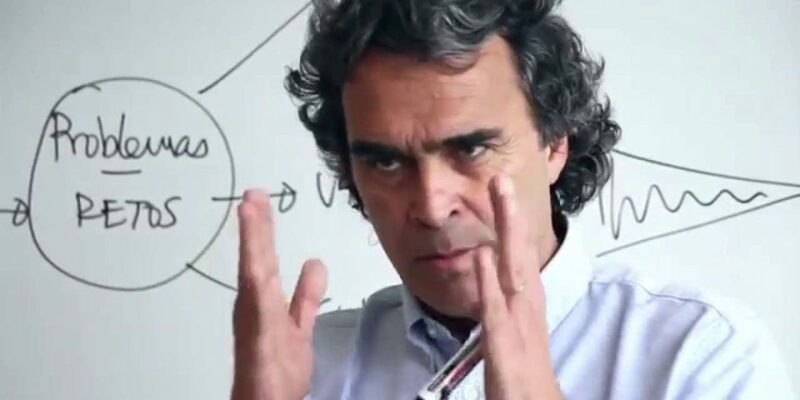 The mathematician previously ruled out a coalition with Petro and has blamed the leftist for contributing to the polarization that has disgraced the election race. A coalition with Duque is unlikely; the conservative candidate is supported by some of Colombia’s most fundamentalist politicians who have consistently opposed the peace process that could send some to prison. Petro, who is a former member of the M-19 rebel group, is also a strong advocate on maintaining a deal that ended more than a half a century of war. “We want to construct a forward-thinking Colombia, so that our children and grandchildren and those beyond may forget the word massacre,” Petro said in March. Duque gained a 14% lead over Petro on Sunday’s vote, but if the leftist candidate can barter support from the 23% of the population that voted for Fajardo, he could cause a surprise during the second round of voting. So far, Fajardo’s decision remains a mystery. Also on Sunday, the candidate made no hint about what his “Colombia Coalition” will do between now and the second round of voting on June 17.